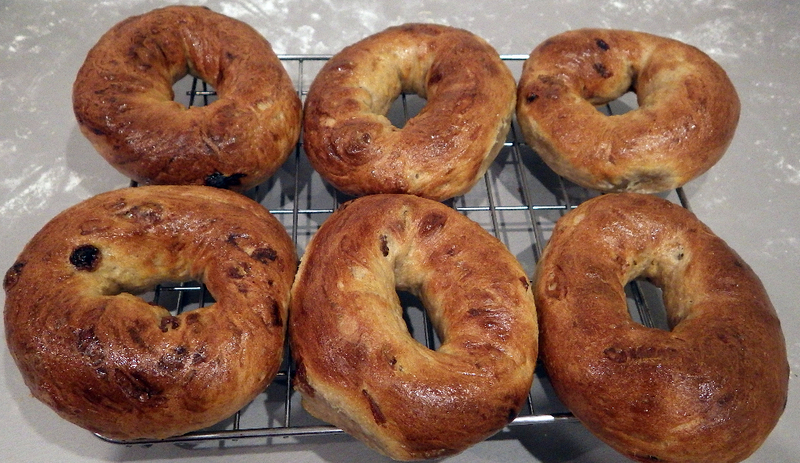 Well, once you are making seeded bagels for long enough, there’s only one way to go. I basically used the usual recipe but added a heaped tea spoon of cinnamon and 100g of raisins I had soaked in water for some good 3 hours prior to making the dough. To be baked again very soon!